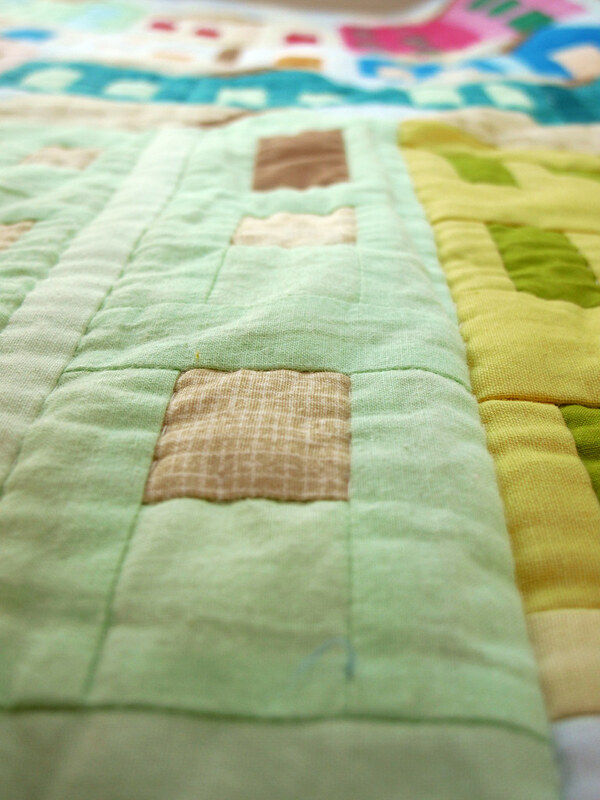 I am not supposed to tell you this, but the Amalfi Quilt has SUCH a long history in our house, lying around because unfinished that we all believed it would never made it ;). 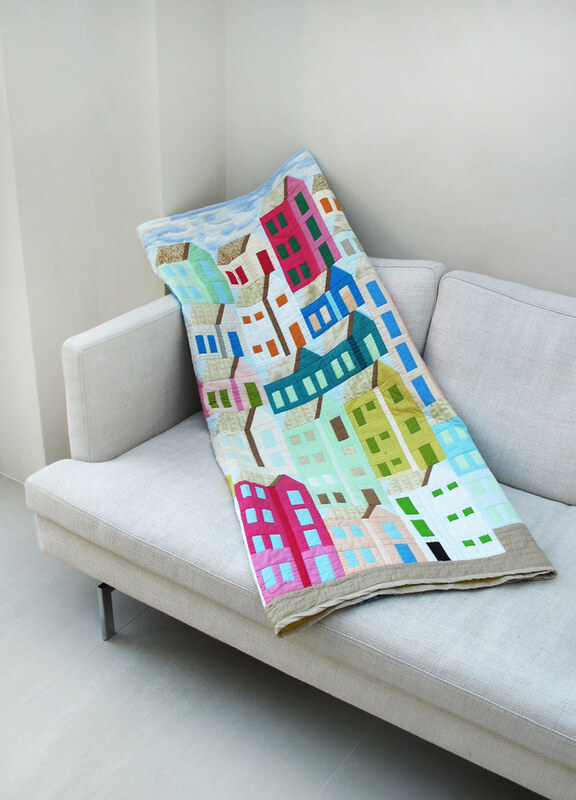 But far from it: last month my mom finished this vibrant and very colourful blanket which was inspired by an image of the city Riomaggiore at the Amalfi Coast in Italy. My mom then used a traditional house pattern and extended it to create that uneven coast look. The borders are made of green grass, blue sky with clouds and at the bottom there is fabric representing the quay wall. 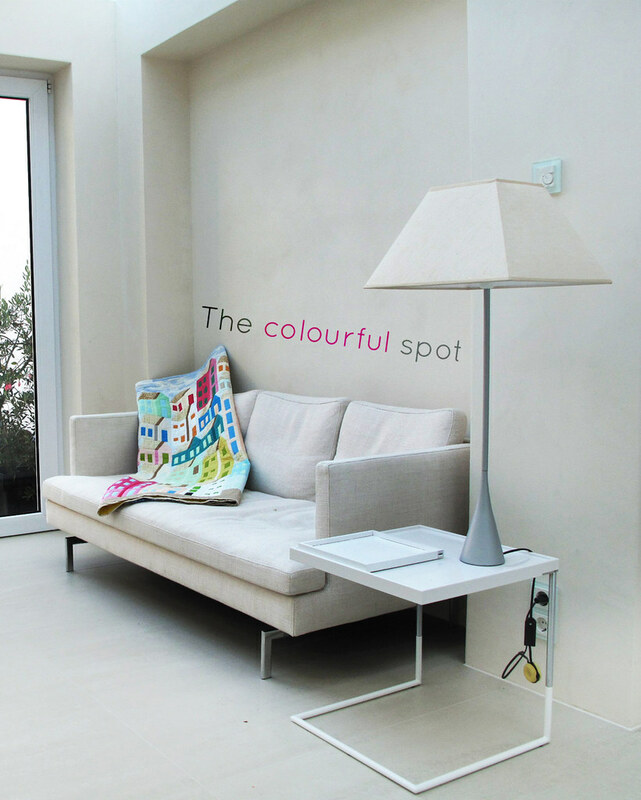 It is the perfect coloured spot in our newly refurbished wintergarden (more on that later!). ich darf es euch eigentlich nicht erzählen, jedoch hat dieses Amalfi-Quilt eine sooo lange Geschichte in unserem Haus (nämlich herumliegend und noch nicht fertiggestellt), dass ich so manches Mal befürchtete, es würde wohl nie fertigwerden. Aber weit gefehlt: im August beendete meine Mutter die Arbeit an der dynamischen und farbenfrohen Decke. Inspiriert wurde sie von einem Bild der Stadt Riomaggiore an der Amalfi-Küste in Italien. Meine Mutter veränderte dann ein traditionelles Hausmuster (in fast jedem Quilt-Buch zu finden), um die unruhige Küstenlinie geometrisch nachzubauen. Die Ränder sind aus verschiedenen thematischen Stoffen zusammengesetzt: grünes Gras, blauer Himmel mit Wolken und am unteren Ende ein Stoff welcher die Kaimauern repräsentiert. Es ist der perfekte Farbpunkt in unserem renovierten Wintergarten (davon zu einem späteren Zeitpunkt mehr!). Amalfi is a GREAT inspiration. Hubby and I vacationed there this past July. I also fell in love with Positano town (village??) in Italy. This is so beautiful. I need to know where I can buy it! This is gorgeous! I love everything about it, aside from the fact that its not mine! This is so perfect! 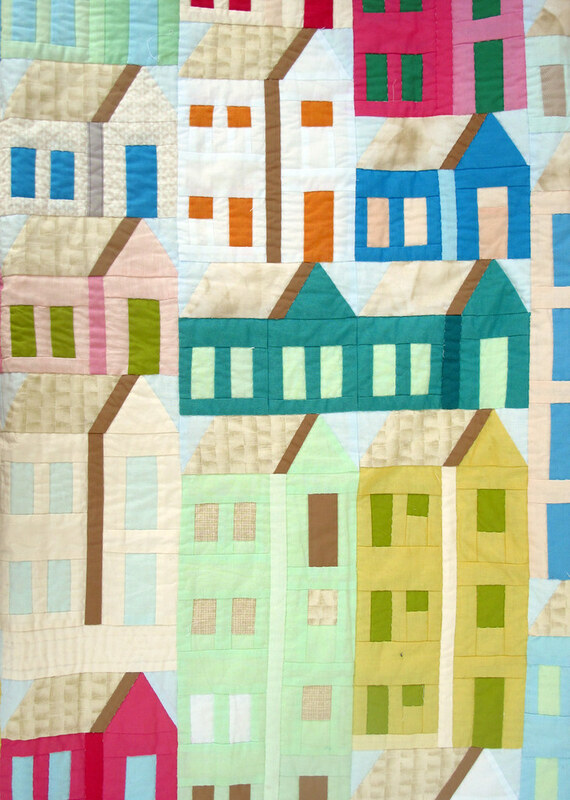 I love houses and this is the best house-quilt I have seen. Magnifique! les couleurs sont très harmonieuses! I just found this sight and this awesome quilt. I want to make one like it so bad. It's beautiful!!!!!! It's beautiful! Just so know Riomaggiore is not on the Amalfi Coast but in the Cinque Terre. I traveled there by foot, by train and by sailboat. Beautiful spot in this wonderful part of Italy. The Amalfi Coast is many hundred miles down south.